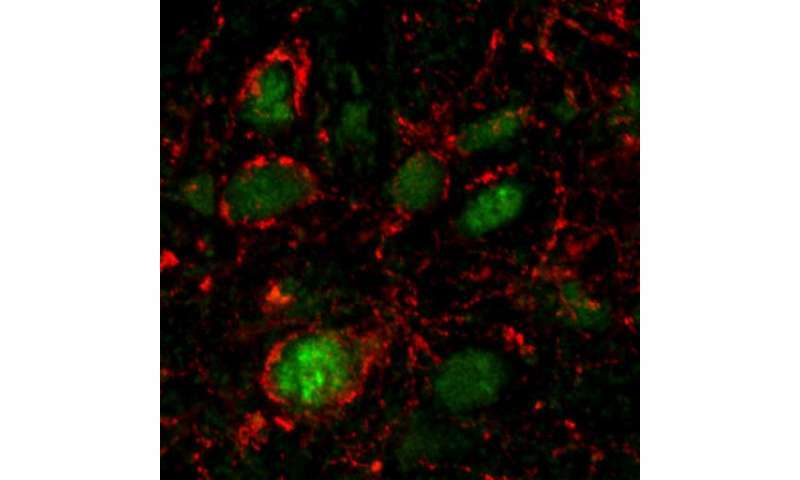 Neurons (c-fos, green) in the rat central amygdala activated by E. coli proteins in stationary phase and surrounded by nerve terminals (calcitonin gene-related peptide, red) originating from anorexigenic brainstem projections. Credit: J. Breton, N. Lucas & D. Schapman. 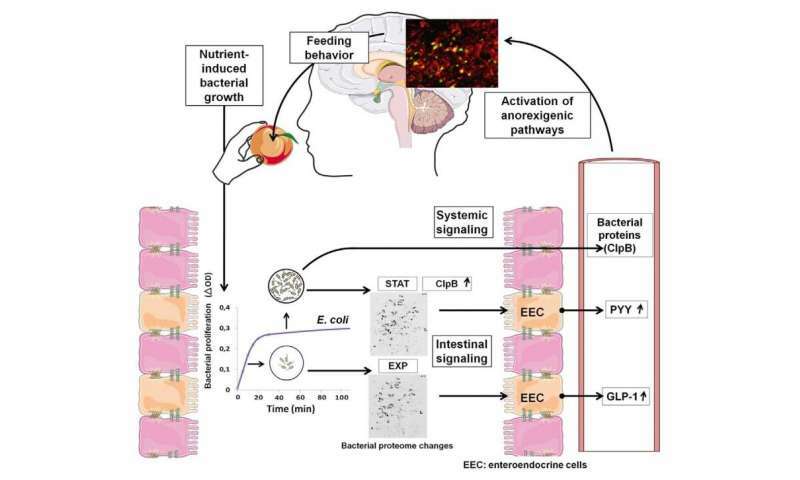 The new evidence coexists with current models of appetite control, which involve hormones from the gut signalling to brain circuits when we're hungry or done eating. The bacterial proteins—produced by mutualistic E. coli after they've been satiated—were found for the first time to influence the release of gut-brain signals (e.g., GLP-1 and PYY) as well as activate appetite-regulated neurons in the brain. Yet another known 'new' discovery. My Dad and your parents too always told us to eat slow, it takes 20 minutes for your stomach to tell your brain you are full! !